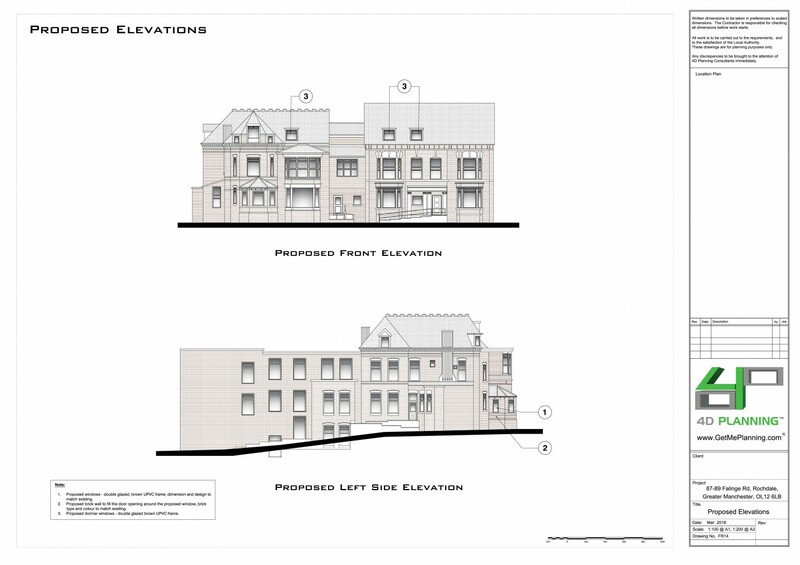 Change of use and conversion of vacant care home into 23 flats including alterations to elevations and two front dormers. 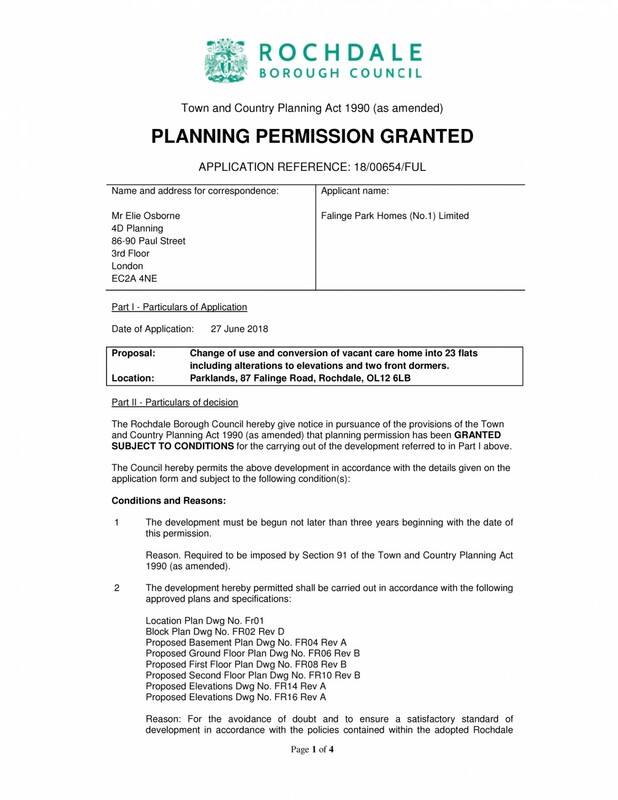 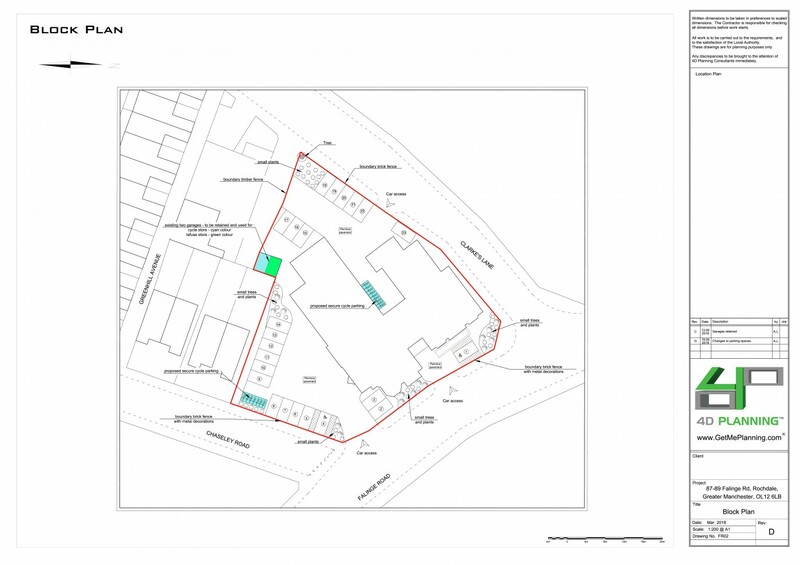 4D Planning advised on the feasibility and prepared a pre application advice submission to the Council on behalf of the client. 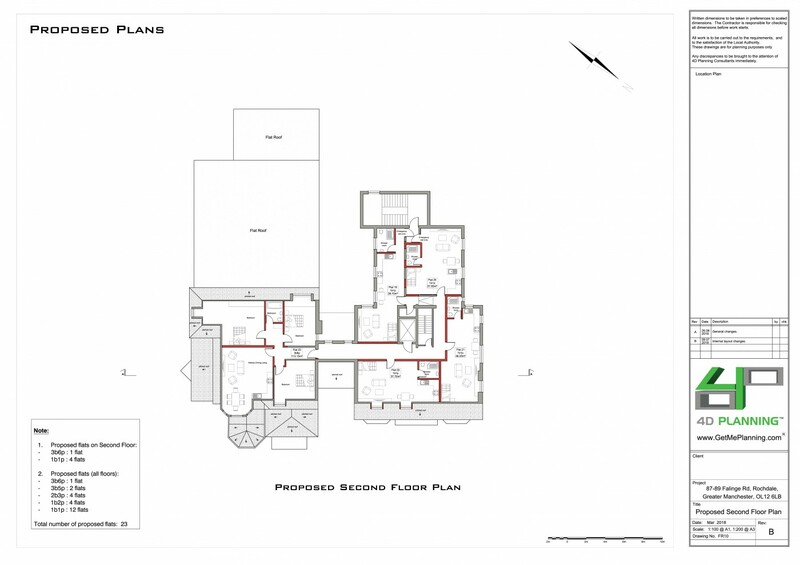 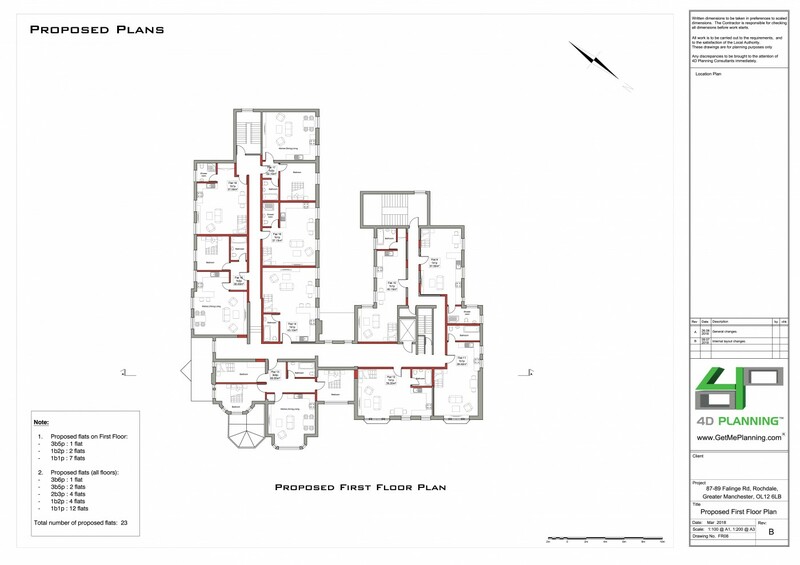 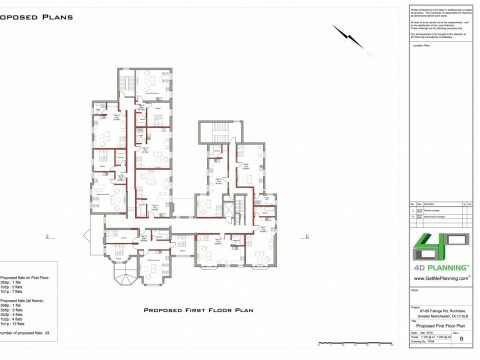 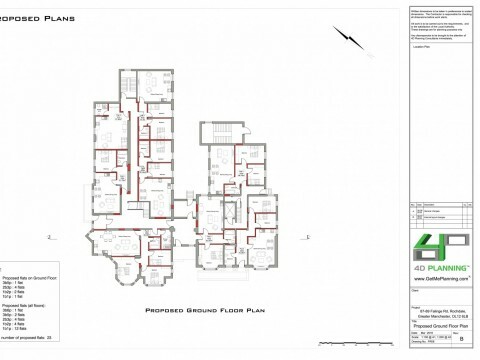 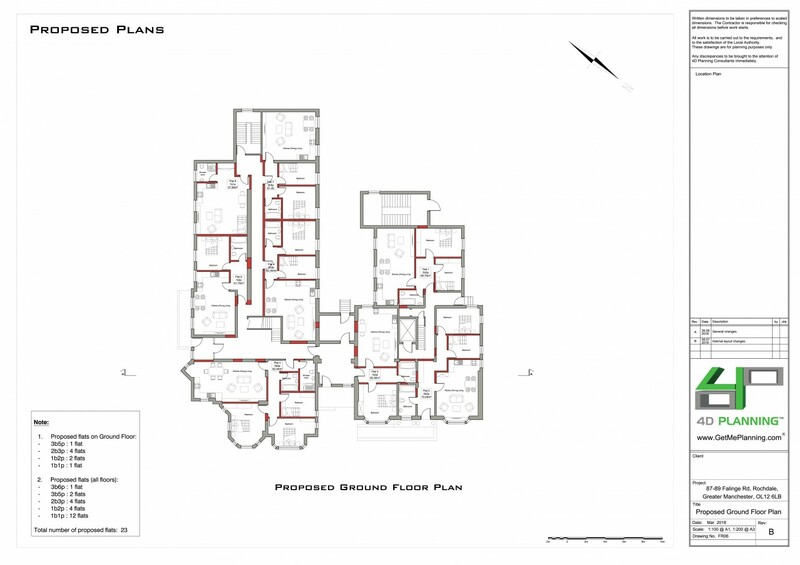 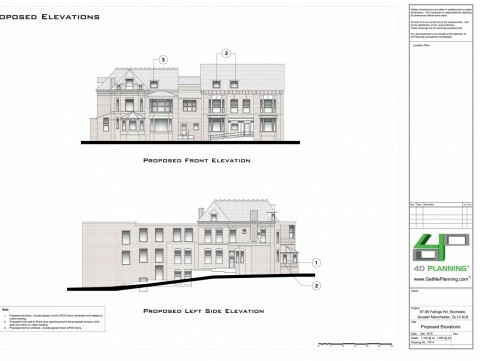 We then prepared the architectural drawings and the Planning Statement, Design Statement and Transport Assessment. 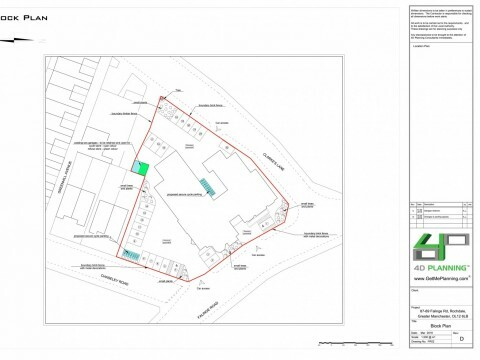 We submitted the application and liaised with stakeholders including Councillors, neighbours, local authority and viability specialists to ensure that the best outcome was achieved on behalf of our client and the local community. 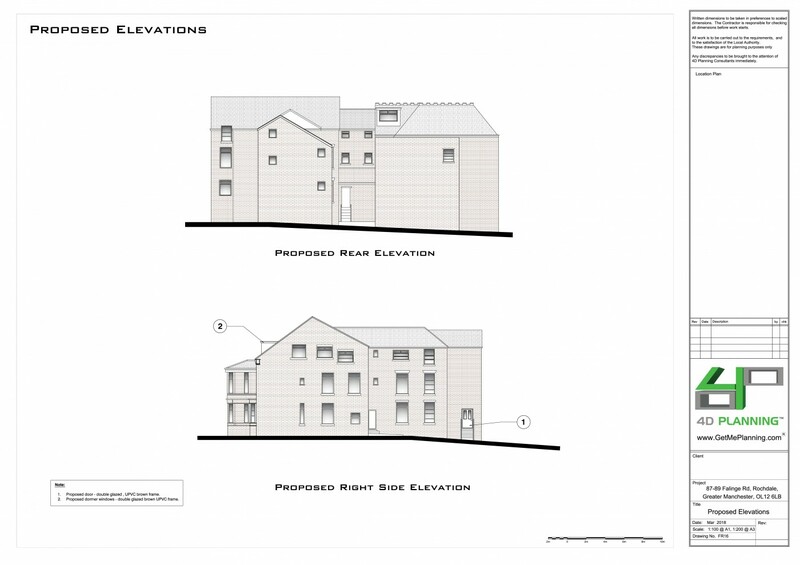 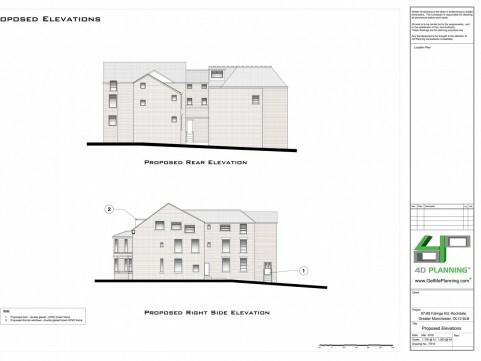 Rochdale Planning Committee GRANTED planning permission for all 23 flats and associated parking. 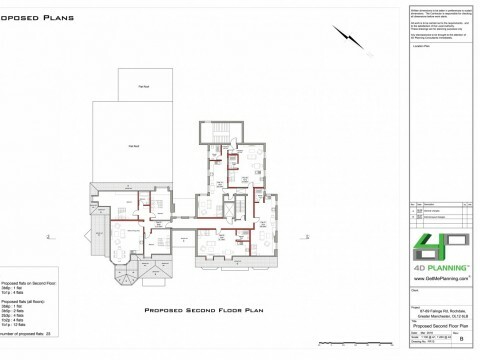 Internal alterations to flat to include new flooring, new lighting, new kitchen and new bathroom.